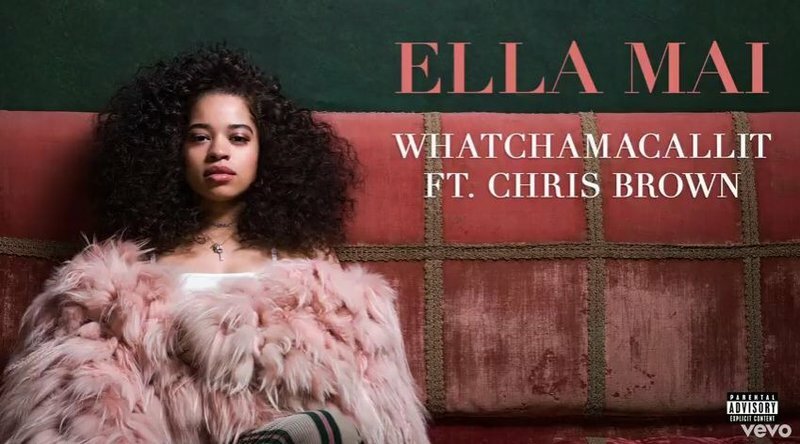 Ella Mai and Chris Brown consider cheating in their hot new collaboration, 'Whatchamacallit'. British singer Ella Mai has a new single featuring R&B superstar Chris Brown. The 23-year-old officially released the audio for 'Whatchamacallit' on Thursday and the song is already getting rave reviews. Ella and Mai sing about their attraction to each other despite both being in a relationship. "It ain't cheating, it's a whatchamacallitc/ This could be our little secret, our whatchamacallit," she sings on the song. The newcomer has been scoring big collaborations since getting her big break with her hit single 'Boo'd Up', which is currently at number 16 on the Coca-Cola Top 40. She teamed up Nicki Minaj and Quavo for the song's remix. Ella has also worked with rapper Ty Dolla $ign. Listen to her new song with Chris Brown below.